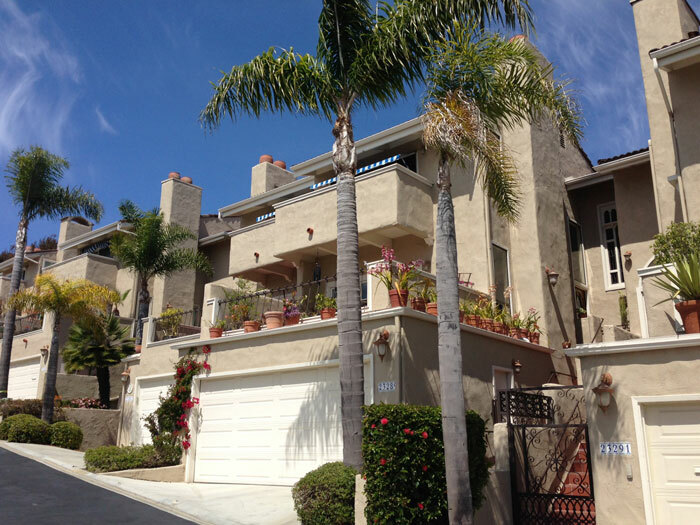 The Monarch Bay Villas condo community in Dana Point is located across the street from the Monarch Bay Terrace community and overlooks the Pacific Ocean and the Links at Monarch Bay golf course. The condos are built on a tier level with the garages located at the street level, the main entertainment spaces on the mid-level and the master suite located at the top level with an extended deck area. Select homes in this community will also have a little backyard patio area. 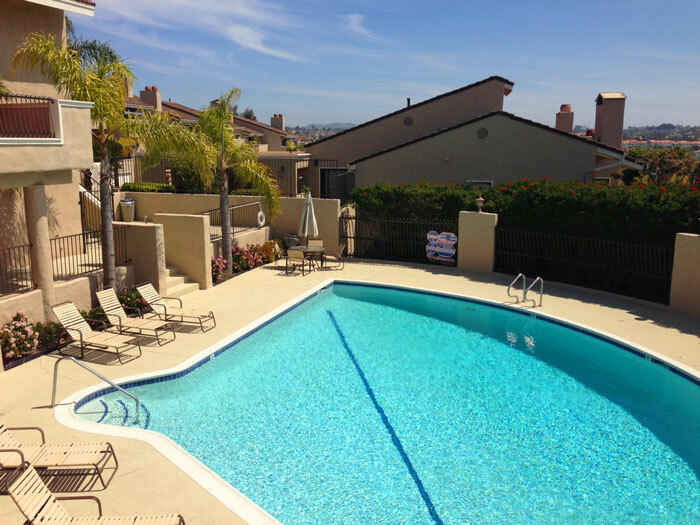 This is a great place to live with the Monarch Beach shopping center located just down the street and Laguna Beach just to the north. This is a rather small neighborhood with a total of 52 homes. You will find all the current available Monarch Bay Villas condos for sale and for lease are listed below. Please contact us with questions regarding any of these properties. The Monarch Bay Villas community has a nice two story community clubhouse with meeting rooms and fitness center. You will also find a resort style pool at the clubhouse. The community is securly gated and only residents can enter. There is a nice walking path that takes you through the Monarch Beach Golf course and under Pacific Coast Highway to the beach. 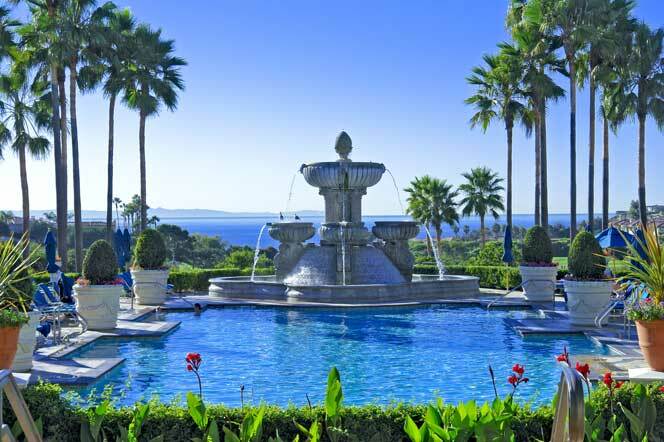 The Views are truly spectacular from the Monarch Bay Villas community with panoramic views of the Monarch Beach golf course and Pacific Ocean. Only select condos in this community will have this type of view.